These memorial stones traverse the garden that connects the Museum with the L&N caboose. 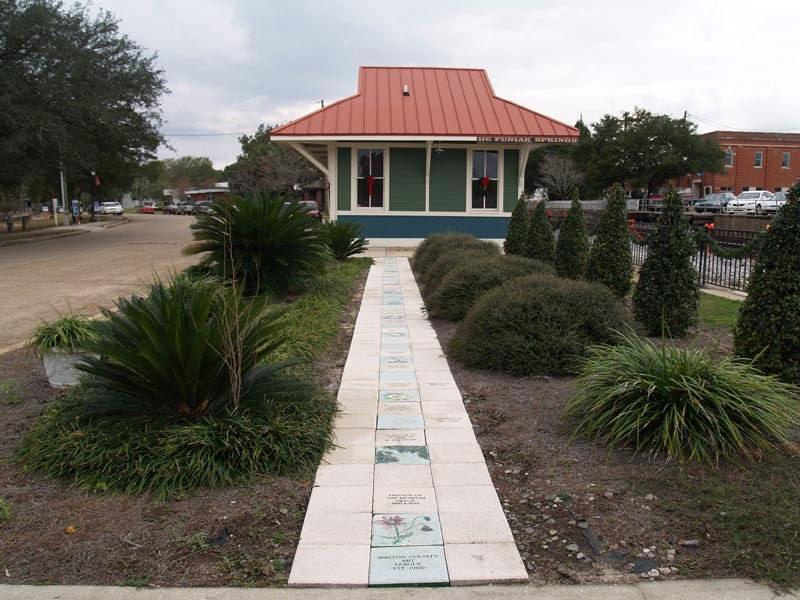 We invite you to honor your family or friends with an engraved 12-inch square stone for a donation to the Walton County Heritage Museum. Please send your Order Form with your donation to the Walton County Heritage Museum, 1140 Circle Drive, DeFuniak Springs, FL 32435.